What is up, everybody! Fred Lam here and welcome to our daily huddle episode number 53. 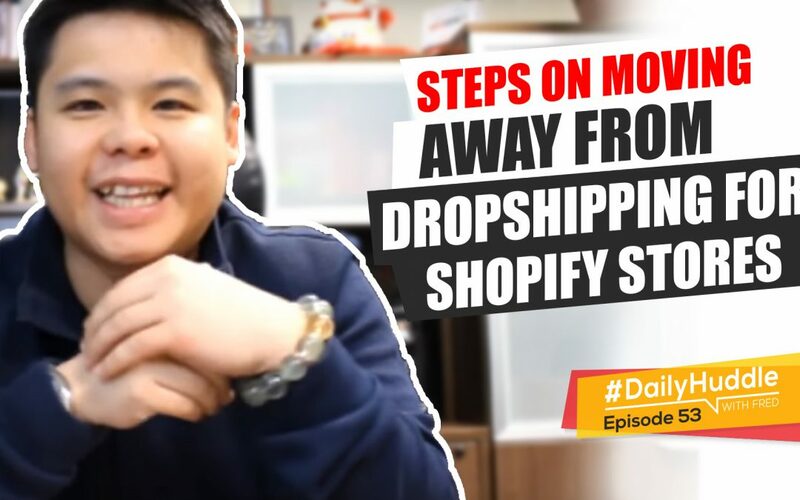 In today’s daily huddle, I want to cover the steps on how you can actually move away from dropshipping for your Shopify business. Now, when it comes to running a long-term sustainable business especially for e-commerce, you want to actually take dropshipping as one of the stepping stone into something that is absolutely far bigger and obviously creating a brand that you want to create either a legacy out of it or simply sell out for a superbly high price. So, one of the steps in order for you to actually do that is you got it slowly and eventually start to move out of dropshipping. 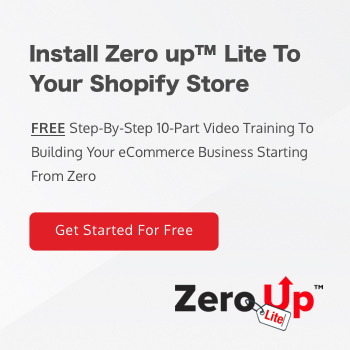 Now, here’s the deal when it comes to drop shipping you can still make at least a million dollar plus once you actually found one or two good products that is selling really well in your Shopify store. If you decide that this is going to be your baby, this is going to be something that you want to keep building on top of, then it is actually time to start really figuring out where you want it to go with your e-commerce business. Now, at the end of the day yes dropshipping is amazing and it is one of these staple for you to actually get started because it is just so easy. You don’t have to worry about inventory, you don’t actually have to worry about shipping the products etcetera. At the same time, you obviously need to have a strategy in place for your business because you can’t just solely focus on dropshipping, you want to basically have two side of the coin, keep dropshipping but at the same time, you really want to start building your brand. In reality, there are two routes for you to take when it comes to scaling up your e-commerce store, number one, it’s very simple and here are the steps that you want to take. You want to first find a product that has been selling really well for you through dropshipping. Now what do I define as well if you can actually sell around 30 per day that equates to almost a thousand orders in a single month or a single unit that really gives you enough ammo and enough power to actually start creating your own brand. Let’s say that you found a product that is doing really well your dropshipping through AliExpress right now or maybe DHT.com or other drop shipping platform, if that product starts to really take off and you can see that you’ve been running this business and the product has been producing in a very large-scale audience, then here’s what you can do – simply go to Alibaba and find a manufacturer that can actually sell to you at a wholesale price in bulk. Now given that yes you’re investing in inventory, but now what you’re essentially doing is you know for a fact that this product is going to sell, because you have been selling it for quite some time and you’re signed for let’s say 30 orders in a single day you’re already selling at 900 to 1000 in a single month. So for you, you are absolutely minimizing your risk. When you actually go to Alibaba to actually buy these products for let’s say a 1000 units or 2,000 units or 3,000 in units at time your cost of goods will actually go down quite drastically. Here’s what you can do, you can start building a brand out of your business and here are the exact steps that I would do: (1) once he actually found a product that it’s working selling around 30 units in a single day, go to Alibaba, find a product, find a manufacturer that can manufacture that same product. Then when you’re dealing with them, you want start working on the design of either the box or some branding in place for your product. This is like a perfect opportunity for you to start building your tribe and start building your brand so at the end of the day, all these manufacturers will actually have people or contacts that will help you get these print stuff completed and if you actually have these all done in China the cost is going to be very low you can have a really nice designed box for your product and you also want to have an insert of other products that you are selling inside your store. So, when your customer receives it, well guess what now they see a very branded product packaging, they also see what other products you have for sale in your store and if you add in a coupon code, they will absolutely go back to your store and actually keep buying. 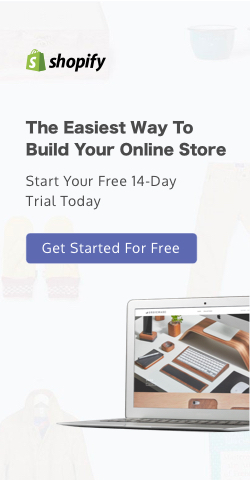 Now with the steps again, it will give you the ability to start really branding your store and diverse and create a differentiation between you and other drop shipping sites. Again, the other option I said there are two options, (1) it’s dropshipping, (2) which I haven’t talked about yet which is simply using your website as a portfolio. You want to start convincing maybe suppliers in the United States who carry some pretty high-end products that you can’t find any elsewhere on AliExpress or other drop shipping site and convince the supplier in U.S to allow you to resell their product and obviously negotiate where they drop ship the product on your behalf. So that way, you are basically having a business that it’s not solely focused on simply just selling on AliExpress, it is just a stepping stone into something that is bigger for your business. So my take for you , if you don’t like dropshipping, I would say you are opening up yourself to a lot more risk. I would only advise you to actually start carrying your product and move away from dropshipping and start working with a fulfillment center in US, carrying the products and helping you ship out your products only if you know the product is going to sell. We want to be smart in where our money is being invested. So, rather than you investing into a bunch of inventory, send it to a fulfillment warehouse and hoping that the product is going to sell, I highly encourage you to actually invest those money into advertising. Find a product that works through dropshipping and from there, when you can hit 30 sales a single day, guess what – go ahead and start finding a fulfillment center there’s a lot of them in United States that costs around a $1.50 to $2 per package. One of them that I would recommend it’s called Push Innovation that’s what we’re using. You can actually look at using them to actually have them ship out the product so you don’t actually have to worry about shipping handling etcetera. But again like I said, if you don’t have a product that you know that is selling, I do not recommend you to carry inventory. Because again you are opening up yourself to a lot of risk because they’re talking about risk of money, risk of time, etcetera. Some quick advice for you on that end of things. [0:09:30] Question 2: When you set up an ad for Monday at midnight and find it's generating profit, do you let it run through the weekend? Or do you pause it and let it run Monday-Thursday again? Hi Fred. When you set up an ad for Monday at midnight and find it’s generating profit, do you let it run through the weekend? Or do you pause it and let it run Monday-Thursday again? I think there is some miscommunication or misinterpretation of what I was sharing with you guys on running new ads only on Monday to Thursday. So when you’re running a new ad, when you’re either duplicating a new asset or when you are setting up a new creative or when you’re sitting a new ad. You would actually want to set up the ad only on Monday to Thursday. It’s just a pet peeve of mine, a habit of mine that works for me and I also set it at midnight so that Facebook could actually run a 24 hour cycle with my budget. Now, when your ad is actually working really well, there’s no point of simply stopping the ad during the weekend since Facebook now has a lot of data and they have the data through the week days they will optimize your ad correctly through the weekends as well. So answer in short – you don’t want to pause it you want to keep running it through the seven day period in a week and let it run for as long as possible. [0:10:59] Question 3: Is there a way to boost traffic through Facebook without much cost? Lately I was charged with $63 just by boosting a page which I only plan to spend $6? How reliable thus Facebook ads? Is there a way to boost traffic through Facebook without much cost? Lately I was charged with $63 just by boosting a page which I only plan to spend $6? How reliable thus Facebook ads? Yes, I receive report of traffic but it does not reflect on my Shopify data so here’s the first thing first, Rico you do not want to boost your page, boosting a page will not guarantee or I should say boosting a page doesn’t allow Facebook to do its job on finding you customers because what you’re essentially doing is you are practically telling Facebook that hey Facebook, I’m advertising on your network because I want more people to just engage with my posts and that’s it. Facebook will deliver those engagement to you and obviously through those engagement, you will get traffic to your website at the same time, but in Facebook eyes they have already delivered what you want which is simply giving you the post engagement that you are looking for. So, it is up to you to actually pause the ad or not. Now, when you’re saying I only have a $6 budget, that’s all I have now instead of doing a daily budget of $6, you would want to actually set a lifetime budget of $6. Facebook is actually really good at spending your money and not spending more than what you have budget. So they are really great at it. In fact, I would say they are better than Google at it. Sometimes Google actually spent over your daily budget which is obviously they have a lot of traffic. Facebook is actually really good at keeping the budget that you’ve set. So, I think it is a human error on your end. I can’t really speak on Facebook’s behalf but based on what I know and based on my knowledge, that’s what I think it is. So, you want to actually take a look at it again. [0:14:24] Question 4: What's the optimum guarantee period to allow for refunds when dropshipping to USA? You advice to tell our customers to allow2-4 weeks for delivery, so if I am offering a 30-day guarantee on my site. the customer may not actually receive his order until just before the 30-day period has expired which may put the customer off from placing an order in the first place. So, would it be better from a conversion perspective to offer a minimum 60-day guarantee? What’s the optimum guarantee period to allow for refunds when dropshipping to USA? You advice to tell our customers to allow2-4 weeks for delivery, so if I am offering a 30-day guarantee on my site. the customer may not actually receive his order until just before the 30-day period has expired which may put the customer off from placing an order in the first place. So, would it be better from a conversion perspective to offer a minimum 60-day guarantee? So that’s a really great question that you brought up, Andrew. 60-day, 30-day money-back guarantee does it do or does it have a major boost in conversion? I have to say through the years of me running an online business, I’ve seen conversion difference between 30, 45 and 60. It doesn’t always mean that the longer time you have, the better conversion is going to be. As a matter of fact, I still remember I have tested one of my e-commerce store a lifetime money-back guarantee. So, at any time if they have bought from me in the past, five years from now or two years from now or two years ago if they have bought we would still honor a refund and when we actually compared lifetime money-back versus a 60-daymoney-back and versus a 30-day money-back, we see a significant difference on simply 60 days and 30 days. The lifetime actually did not have a major impact in conversion which was very surprising. Now, this may be niche-specific obviously and I’m not in every single niche so each niche may be very, very different. So you want to do your testing yourself between 60 and 30. Now, to answer your question about the optimum guarantee refund days – it is really up to you. So for me, we actually look at it on a case-by-case basis. We usually look at the 30-day mark obviously at time of purchase. Now, if a customer calls in complaining about it, we’ll say all right when you receive the product then we will start that 30-day. So, what we do is that we usually extend the refund policy days if a customer calls in and said I haven’t received my product and start whining and complaining, we’ll extend the refund period and that’s what our habits are and that’s what I do for my store. Do you really have to say it or talk about it? I mean it’s up to you. You can also have any in your policy and again you are the person that run your own business and if you want, you can say well the 30-day starts the day that you receive the product. 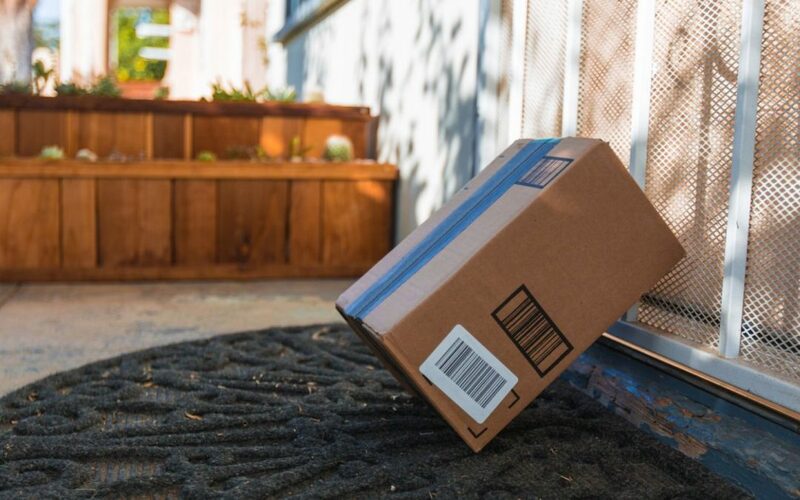 Now, if you’re actually doing that, you need to make sure that you are going to have a tracking in place and knowing when the customer actually received the product. So, that there’s no arguments on when that 30-day period expires. So, like I said it’s really up to you on how you run your business it is up to you if you want to actually use 30-days time of purchase or 30 day upon receiving the product. It is obviously up to you and also depending on what products you’re selling and what niche you are in. [0:18:14] Question 5: I'm starting to notice a lot of sellers on AliExpress only ship to confirmed AliExpress addresses as in the same as your billing address how exactly does that work for drop shipping through AliExpress? Hello Fred as I continue to add products to my store, I’m starting to notice a lot of sellers on AliExpress only ship to confirmed AliExpress addresses as in the same as your billing address how exactly does that work for drop shipping through AliExpress? Thank you. So that’s what I would do if I were you. So, that’s really it for our 5 questions of today. Leave write in the comment box what you guys think about my daily huddles so far right now and if you guys have learned a lot of great stuff in there. Before we continue obviously we still have our kickstart 500 for today that we are going to give out. Now for those of you that never heard about our kick-started 500. Kickstart 500 is very simple. You simply create an application with us all, you got to do is simply go to www.fredlam.com/500 and there’s going to be application you fill out and we will filter them and we will choose who will be the individual that I’m going to invest $500 into you and your business. You can use that $500 to build a website, build a store, start running traffic and simply start hustling and I will also give you up to 5,not always 5, sometimes 4 – 5 goals that you’ve got to accomplish within 30 days. If you have accomplished those 5 goals, I’m going to actually have a one-on-one consultation call with you, look at your business, look at your store, do a review and tell you exactly what you got to do for your business to start growing it, scaling it and building it. So, if you guys are interested in getting my kickstart $500, all you got to do is simply go to www.fedlam.com/500. First of all, put it in the word ‘excited’ right into the comment box right below on Instagram, Facebook on the side, right on YouTube and I will start getting ready to announce who our winner is for today where I’m going to invest $500 right into your business. Ever since I’ve started this it’s used to call like the Zero Up grant, I think it was called, and now we actually change this the kickstart 500, I invest a lot of money to a lot of people already. Sometimes I give away a thousand dollars, sometimes I gave away more sometimes on average, I give around $500. And that $500 can really help you with a lot of things. You can get your website up, it can get your ads up, you just start looking at data and to see how you can actually move forward with your business. Alright I’m getting a lot of people saying excited right now. With that being said, let me actually pull it up on who our winner for today on our kickstart $500 and again as you guys know, I don’t have a drum, my assistant got me these flapping hands, so I’m going to use the flapping hands. All right so our winner for today’s kickstart $500 grant is Stephanie Wong! Stephanie has actually watched my daily Huddle’s since day number one. She’s a 100% dedicated for her e-commerce store, she has to re-set up her store. I actually took a look at it, it’s pretty interesting stuff especially if she actually have the license to actually sell the product that she is selling. Again, Stephanie I am super excited for you. I know that you’ve been running some ads right now, but you have not been that successful and you basically need more budget to actually start running more ads so there you go, here’s your $500. 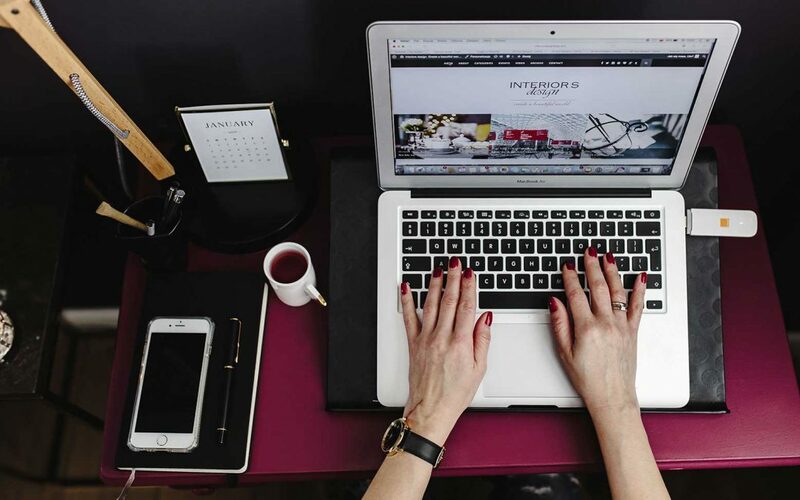 Make sure that you started investing back into your e-commerce store and obviously there is going to a to-do list that I’m going to send out to you. So, other than that before I actually hop up for tonight, there are 2 things that I want to cover, (1) if you guys want to see me in person, put it in ‘me’ into the comment box potentially have like the small meet up together. In March, there is a live event that’s all about free traffic. It is called the 3XC event, how to get clients, how to get traffic, how to actually use free traffic to drive more sales and conversion for your website or for your business. So it is a live event where you actually fly down in person to be there. Right now, there are tickets for sale and if you guys are interested, make sure you actually click on the link above on Facebook and right below on Youtube, it is called www.fredlam.com/3xc and not only am I going to be there, but you’re going to actually meet Neil Patel who’s the number one SEO consultant right now in our industry. You’re also going to see Kotton Grammer. You’re going to see a lot of people that will share of you everything that you need to know about free traffic. As a matter of fact, if anyone actually that purchased a ticket and it’s a follower of mine, I may be hosting a couple hour workshop, I’m going to ask for an event space and we’re going to meet up, we’re going to have a Q&A session. We can actually talk. We can actually have some training .Whatever you guys want I’m still looking into figuring a lot logistic out and everything. So, if you guys want to actually meet me in person spend some time with me and learn a master free traffic make sure you secure your ticket for this event. I would bet you that you’re going to be blown away on what you’re about to learn for free traffic. Listen I will do free traffic. So for me, it’s very hard for me to teach you how to do it. So, I would actually recommend to learn from experts and right now there’s a live event happening that really tailors specifically all about free traffic and I highly encourage you to actually check it out. Other than that, last note before I hop off for today. Starting tomorrow, I’m going to be traveling for a full week. So, I’m going to be in a different time zone. I will not know when I will actually come on live for my daily huddle. As a matter of fact, there may be a possibility that I will only go on live on Facebook because with YouTube and with Instagram and with Facebook all broadcasting at the same time, I need some crazy internet connection and I can’t promise each time I travel what the internet connection is going to be. Worse comes to worst, I’ll come on to our daily huddle through Facebook live, but I’ll try my best to come on live on both YouTube, Instagram and Facebook at the same time but again worse comes to worst it’s just going to be on Facebook, depending on connection and it will be on a very weird time zone. I’ll give you guys heads up on when it is. I’ll put a note inside my Facebook page. I’ll give you guys a heads up on roughly what time I will actually come on live. That’s really it for our daily huddle for today. I look forward on seeing you guys sometime this week and I’m going to traveling the full day tomorrow so I will come on at a pretty weird time and I’ll keep you guys posted. I’ll see you guys very soon bye now.